2017’s edition of Saison Dupont Dry Hopping takes the drinkers to the hop fields of Slovenia and the Styrian Eureka hop. Each year, brewmaster Olivier Dedeycker selects a new hop that he finds exciting and interesting for his special edition of his classic Saison Dupont. 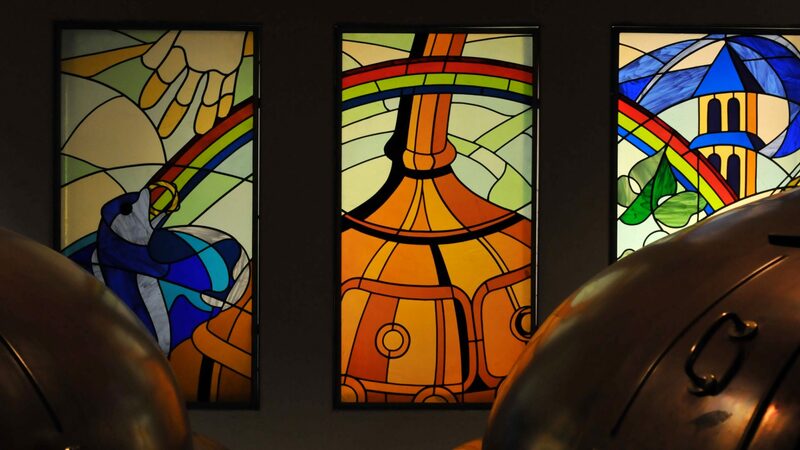 The special hop is then used to dry hop the brewery’s flagship beer (learn about dry hopping). Like all Dupont beers, this one is bottle conditioned. The combination of bottle conditioning and saison yeast make for a beer that will last and develop in the bottle over a few years. Past editions have included a mix of classic hops and newly developed European hops. You can read my reviews of the past versions here. Slovenia is one of the larger hop growing regions of Europe and has a very active hop development program. Styrian Eurekas are one of those new varieties. It’s classified as a dual use hop with both good bittering qualities and excellent aroma qualities. Bred from a mix of traditional Slovenian hops and imported varieties (neither were specified), the Styrian Eureka is one Slovenia and Europe’s rising stars in the hop development arena. It provides aromas in the fruity (dark fruit), woodsy, and citrus ranges which should make it an interesting addition to the Saison Dupont. Aroma: Floral, Spicy, woodsy, fruity, light banana, herbal, sage, mint. Taste: Peppery finish, cracker, coriander. Overall Impression: The Syrian Eurekas make for a tasty Saison and a great choice for this beer. They work well in conjunction with Dupont’s yeast while adding their own unique character. 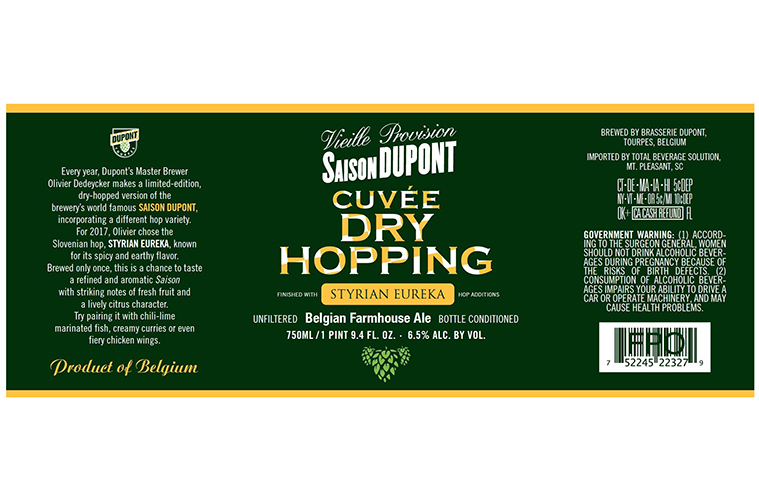 In essence, the Styrian Eurekas give the classic Saison Dupont a more modern edge while still leaving one foot in traditionally European hop aromas/flavors. Availability: Once a year release, imported by Total Beverage Solutions.